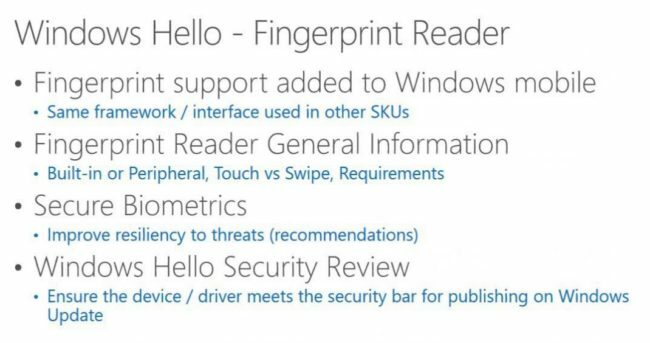 Fingerprint reading finally making its way to Windows 10 Mobile. 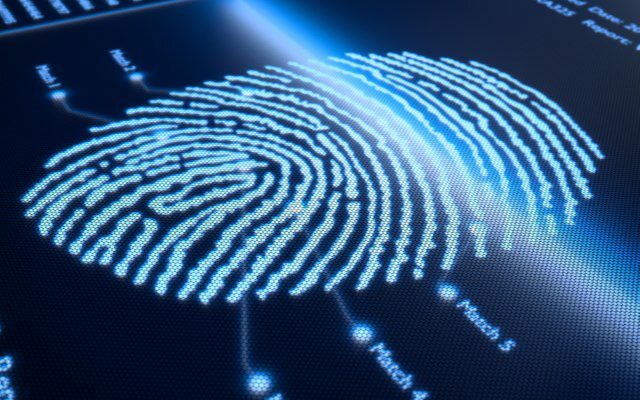 Currently, Windows only supports fingerprint readers on desktop OS. A new report suggests that biometric features also coming to Windows 10 Mobile this summer. At Winhec conference, Microsoft slideshow confirms that fingerprint reader support is coming to Windows 10 Mobile. For security in Windows phones, Microsoft is using facial recognition as Windows Hello. But it gets slow sometimes. Now Microsoft will update its mobile software to enable fingerprint scanning in Windows mobile. Soon, Phone manufacturers can able to install biometric devices on Windows Mobile phones. This will give users another security feature on Windows Mobile.